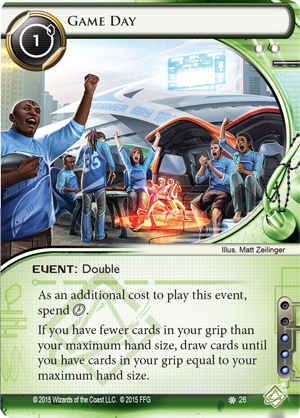 As the SanSan Cycle provides fans of Android: Netrunner a guided tour of the Californias from San Francisco to San Diego, Breaker Bay focuses on the University of the Californias at Breaker Bay. UCBB has a profound impact upon the region as it educates tens of thousands of students every year in over one-thousand majors, minors, and programs from over a dozen dedicated colleges. Here, the faculty can count themselves among the most distinguished in the solar system, and the university regularly competes with Levy University and NeoTokyo Daigaku for the top spot in the NBN Best College and University Rankings. While other students at UCBB may be distracted by beach parties, Corporate recruiters, or tailgating before the big games, Hayley Kaplan ( Breaker Bay , 25) is quietly consumed by her passions for learning, technology, and astronomy, all of which she neatly combines in her burgeoning enterprise as a Runner. Like most Shapers, Hayley Kaplan’s motives are not entirely clear to others, but her methods suggest that she’s interested in using her runs as a means to test the most efficient ways of distilling meaningful and actionable data from the network’s nearly infinite strings of code. Along the way, she uses her knowledge of astronomy and constellations to identify and map particularly intriguing data clusters. 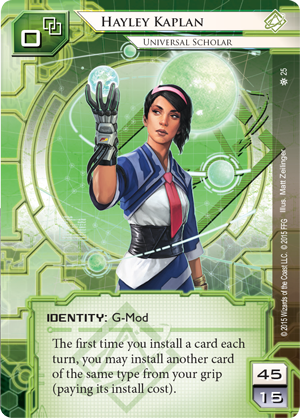 By playing her events in quick succession, and by installing her programs or other cards in little clusters, Haley buys herself valuable clicks with which she can run or procure credits. 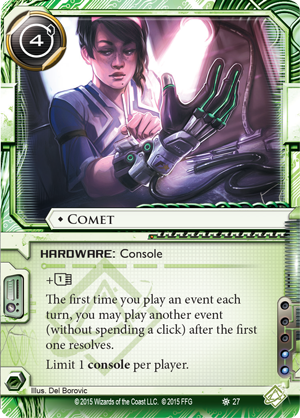 Of course, the fact is that Haley’s and Comet’s abilities require that you draw into small combinations, and if you hold onto your programs, events, resources, or hardware in a grip of just five cards, you may choke your progress rather than accelerate it. 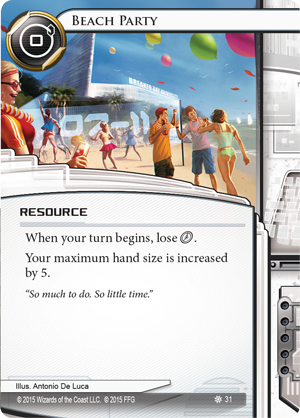 Accordingly, you might consider using Beach Party ( Breaker Bay , 31) to increase your hand size and, then, use Game Day ( Breaker Bay , 26) to draw into all the events you’ll want to play and all the parts of your rig that you hope to install. No matter your interests, you’ll find that your education at Breaker Bay will help you to become a more well-rounded and successful individual. The computational neuroscience and cybernetics research in Breaker Bay’s NeurotechniCollege is leading to new bioroid neural channeling techniques and applications of brain-machine interface technology. UCBB’s LibArts School fosters learning in such traditional subjects as American, Spanish, social sciences, history, and philosophy, and the Gore School of Network Architecture educates the sysops and cybersec administrators of tomorrow. In Breaker Bay, the students and buildings of UCBB are given form, as are the corporate sponsorships that provide graduate and undergraduate students with hands-on fellowship and internship experiences. Will you intern with Jinteki Biotech? Will you apply for research grant from Haas-Bioroid? 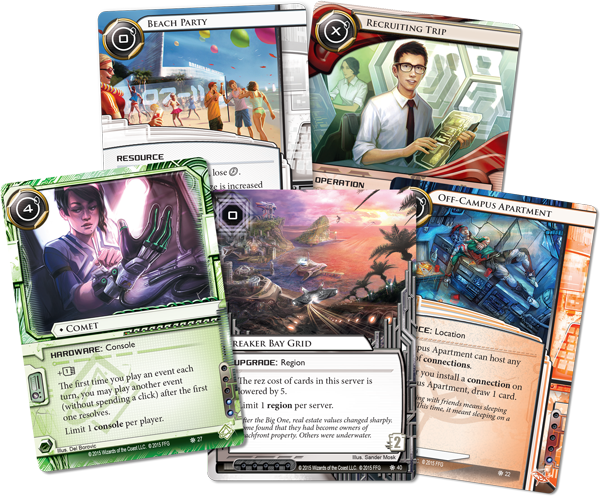 Will you take out a student loan from one of the banks in the Weyland Consortium?